The Delian Mode (2009) directed by Kara Blake and produced by Blake and Marie-Joseé St.Pierre received the Genie award this week for Best Short Documentary. 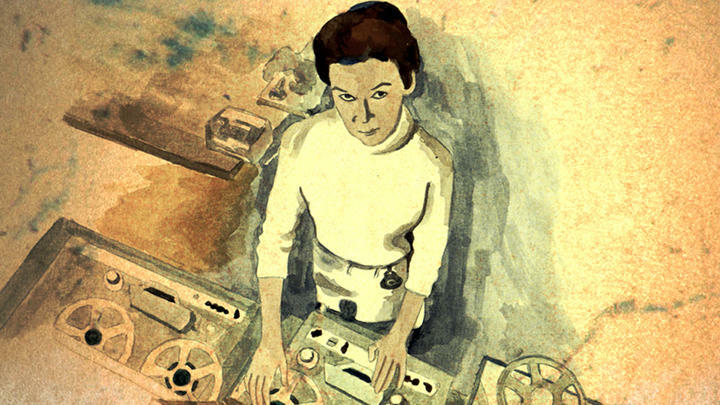 The film explores the work of Delia Derbyshire, best known for her sound treatment of the Doctor Who theme song. I had a small part with the production of this film working as assistant cameraman. Kara and Marie-Joseé are very deserving of this award – these two filmmakers are incredibly talented visionaries.